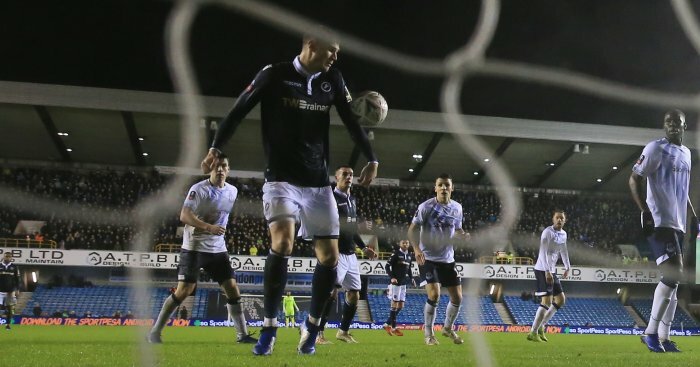 There was FA Cup controversy at Millwall on Saturday which left Everton furious, while Jesse Lingard could have seen red at The Emirates on Friday night, all in Ref Review. 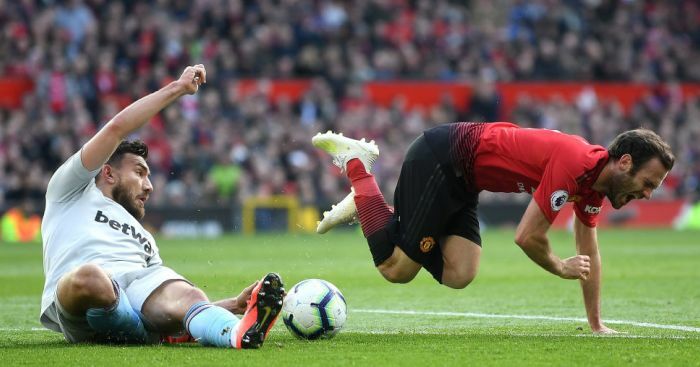 Ruthless stuff from Manchester United who put a wonderful passing move together that was finished off in some style by Alexis Sanchez, who truth be told had endured a shocking opening half hour prior to scoring. 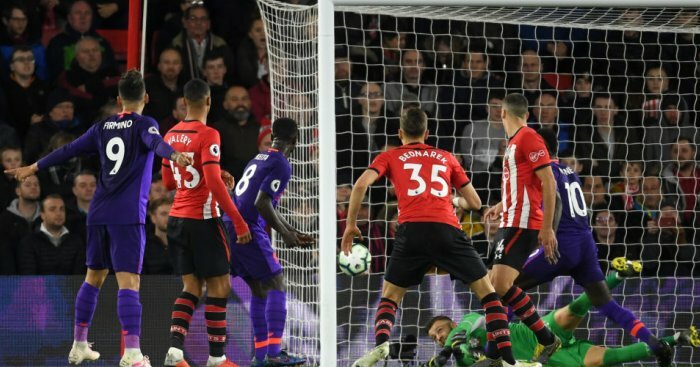 Romelu Lukaku took the ball on the edge of the area, swung to shoot left footed but as four Arsenal men charge him down he played a clever reverse pass into Sanchez’s run. Arsenal’s back line appealed in vain for offside but he was on, just, and the Chilean then danced around Petr Cech before sweeping into the corner from a tight angle. Koscielny has been pivotal for the Gunners since coming back from injury but might be out for a while after being accidentally kicked in the head by Romelu Lukaku. We must stress that there could be no fault attached to the Belgian and that he actually flagged it up to the officials instantly. Nevertheless it looked a nasty cut and he could have also suffered some damage to his jaw. The ref was quite correct not to penalise Lukaku though as it was a pure accident. Marcus Rashford and Sead Kolasinac put their heads together late on at the Emirates and then for afters everyone steamed in. Loads of pushing and shoving and it seemed Jesse Lingard, who was already on a booking, was among the worst offenders. 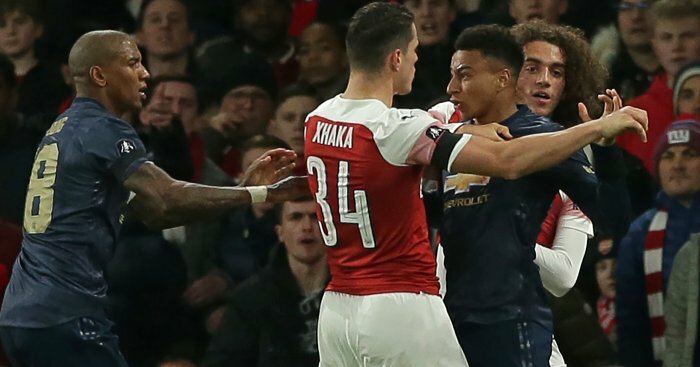 Kolasinac and Rashford picked up a yellow card apiece but Lingard was very lucky not to be dismissed. He made a bad situation far worse then had something to say to a few fans in the stands. He was far more culpable than Rashford and we are surprised he wasn’t rumbled after a VAR review of the incident. Drama right at the death at Accrington too as the hosts broke away from a corner and when Paul Smyth was clean through Jayden Bogle hauled him over. 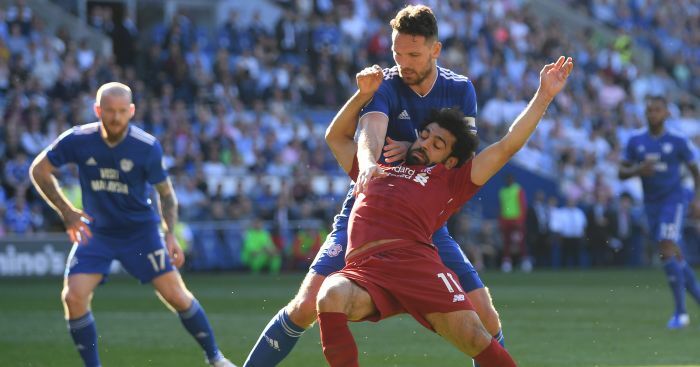 It was the very definition of a ‘professional foul’ and he had to go. Veteran Oldham skipper Peter Clarke enjoyed one of the more eventful days of a long career as he took centre stage against Donny. It all started when he made a goal-line clearance. He followed that up by scoring an own-goal before levelling for the Latics on 84 minutes. However his hero status was only temporary as he conceded a penalty at the death (handball) that was given on the say-so of the referee’s assistant. He was then sent off on 96 minutes after picking up a straight red for violent conduct after clashing with home keeper Marko Marosi. The win saw Doncaster reach the fifth round for the first time in 63 years and in the end it was Clarke who was mostly responsible for getting them there. To be fair he has a point as it’s difficult to get our head round the thinking in having VAR one night (Arsenal v Manchester United) and not the next. In the same competition. Complete madness this from Kyle Walker-Peters, who inexplicably stuck his arm out to control a cross in the area bound for the head of Connor Wickham. It was blatant handball. Stonewall. No debate. Kieran Trippier became the first Spurs player to miss an FA Cup penalty since Tom Huddlestone v Bolton way back in 2010 when he blazed wide with Palace 2-0 up at Selhurst Park. It came about when Juan Foyth tried to turn on the edge of the area and Patrick van Aanholt kicked the back of his leg away. Another absolute stick on. 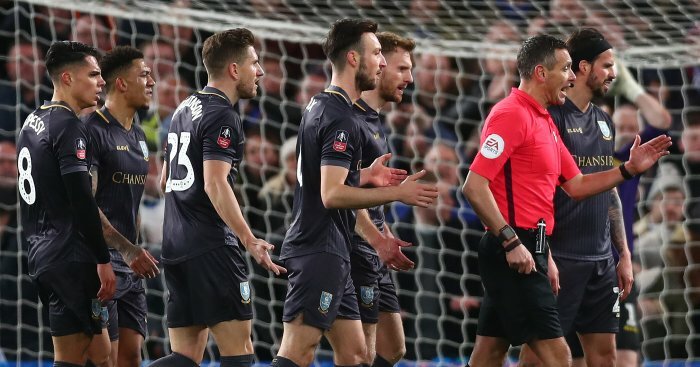 Arguably the most contentious moment of the weekend occurred in Sunday’s late game when Andre Marriner awarded Championship side Sheffield Wednesday a penalty when Joey Pelupessy went down in the area after tangling with Ethan Ampadu. The ref immediately blew for a spot-kick but as the Chelsea players piled in to protest he eventually went to VAR, which confirmed that Ampadu actually got a good chunk of the ball and actually had his heels kicked by Pelupessy, who then went sprawling. Ergo, the decision to overturn the original call was a good one. Ironically though if the game had been at Hillsborough, there would have been no VAR available and the penalty would have been given. 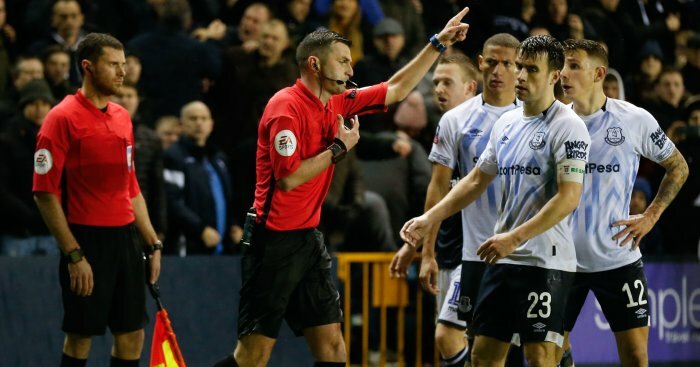 With VAR not in use Michael Oliver has no option but to stand by his original decision of letting Cooper’s goal stand, despite Everton’s furious protests as the clear handball was shown on the big screen. 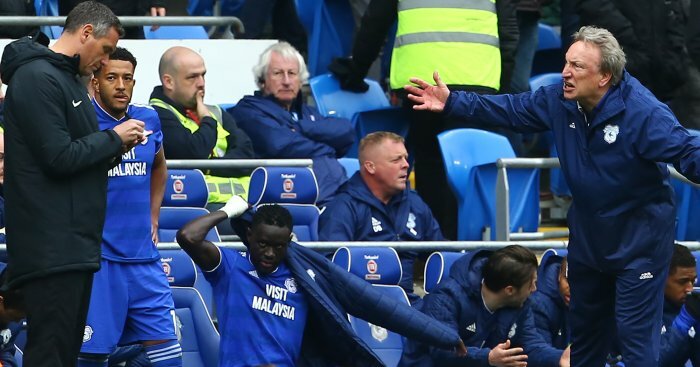 Worse was to follow for the Premier League giants too, who went on to concede a 94th-minute goal to end their FA Cup dreams for another season. 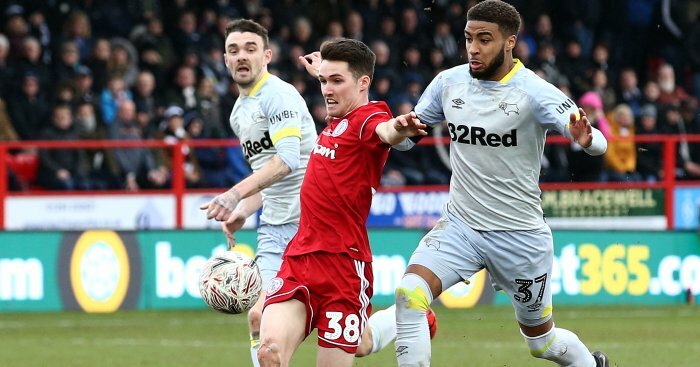 It was one hundred per cent, definitely handball, as poor Walker-Peters just seemed to lose the flight of the ball as it was floated into the box and his left hand was way above his head as he wafted the ball away from Connor Wickham’s head with his arm.